Infinix Hot S4 Pro Phone Specifications and Review has been released, alongside the official price in the USA and in Nigeria. The Phone is an upgrade of Infinix Hot S4 which I reviewed a week ago, the main difference between these two devices is the Non-removable battery, this Hot S4 Pro is 3500mAh, which is quite lower than the S4's (400mAh) Battery which is a smaller flagship. The Infinix Hot S4 & Pro has been officially launched in Nigeria, the official price and Full Specs has been reviewed (without Bias) below. The design of the Infinix Hot S4 Pro is spectacular, the phone is built with premium plastic, while the back of the device is smooth and it has triple cameras at the back (more review on Camera review below). It also has a body dimension of 156.5 x 76 x 5.6 mm and weighs 150 gram. 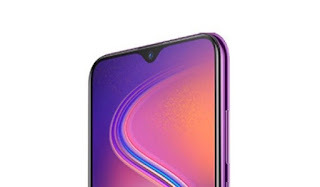 As for the front design and display, the Hot S4 Pro has a waterdrop notch and large screen resolution of 6.22 inches.